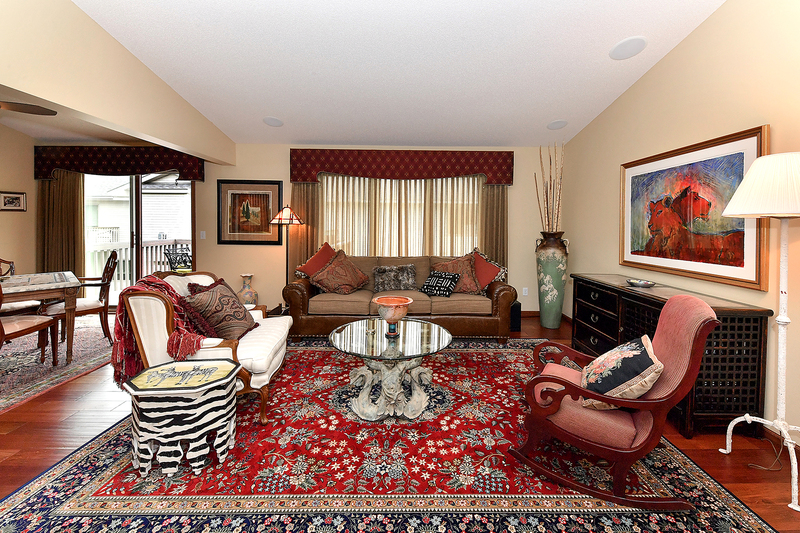 Rarely available one-level living in the Graviere community. Fabulous maintenance-free townhome with Brazilian cherry floors, granite countertops, glazed cherry cabinets, stainless appliances, surround sound and many more upgrades! Spacious main floor owner’s suite with private full bath featuring double sinks, walk-in closet and separate tub and shower. Vaulted sitting room with gas fireplace and walkout lower level with two additional bedrooms add to the enjoyment of easy living. Conveniently located near trails, parks and shopping. Wayzata Schools.